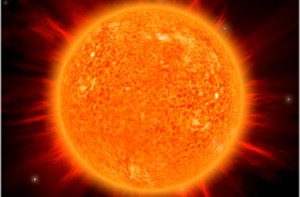 The Station of the Qalb (Heart) is symbolized by the Sun. The Sun is the center of the Universe and Heart is the center of our inner universe. The first sense to open in the levels of the heart is the Hearing. The Qalb is the state of Ilmiya (knowledge), and where all the divinely knowledge come first. We move from the first station of Qalb (Heart), to the Sir (Secret) the second station, to the Sirr e Sir (Secret of the Secret), to Khafa (Hidden) and Akhfa (Most hidden). For now we focus just on the heart, that the entry point for that understanding, the Qalb and the secret of that color is yellow. Then to the Sir and the secret of that color is red. The Sir Sir is white and is under the station of Qalb. Then from the Sir Sir, you are going to the Khafa which is green and from there to Akhfa which is black, and then annihilating and entering into the Divinely Presence. Prophet (saws) said: “I was a Prophet before Adam was between clay and water,” before there was Bayt al Ma’mur, before there was ‘Arsh ar Rahman, before anything was created. قَالَ : يَا جَابِرُ ، إِنَّ اللَّهَ خَلَقَ قَبْلَ الأَشْيَاءِ نُورُ نَبِيِّكَ مِنْ نُورِهِ ، فَجَعَلَ ذَلِكَ النُّورِ يَدُورُ بِالْقُدْرَةِ حَيْثُ شَاءَ اللهُ ، وَلَمْ يَكُنْ فِي ذَلِكَ الْوَقْتِ لَوْحٌ وَلا قَلَمٌ ، وَلا جَنَّةٌ وَلا نَارٌ ، وَلا مَلَكٌ، وِلا سَمَاءٌ وَلا أَرْضٌ ، وَلا شَمْسٌ وَلا قَمَرٌ، وَلا إِنْسٌ وَلا جِنٌّ. bil Qudrati haithu sha Allahlu, wa lam yakun fi dhalikal waqti lawhun wa la qalamun, wa la jannatun wa la Narun, wa la Mulkun, wa la samaun wa la ardun, wa la shamsun wa la qamarun, wa la insun wa la jinnun. He (Prophet Muhammad (saws) said: “O Jabir, the first thing Allah created was the light of your Prophet from His (Allah’s) light, and that light remained (lit. 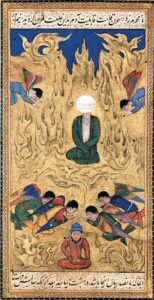 “turned”) in the midst of His Power for as long as He wished, and at that time, there was no Tablet and no Pen, and no Paradise and no Fire, and no angel, and no heaven or an earth, and no Sun and no Moon, and No Human being and no jinn. 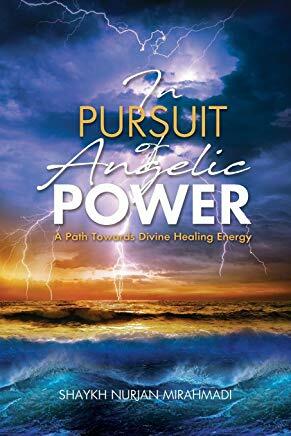 We want to talk about the reality of the Malaikah (angels) and the understanding of the lata’if (Energy Points). Means that the servant who is opening their heart and making the tafakkur, their contemplation, then there must be a reality within themselves. 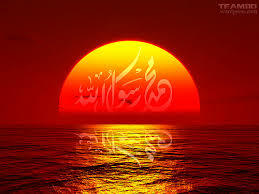 Noor Muhammad (salallahu `alayhi wa sallam) is the Light of all Creation. Every angel is from the light of Sayyidina Muhammad (salallahu `alayhi wa sallam). 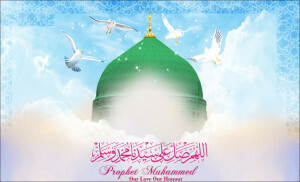 Now begin to think malaikah they are Muhammadan lights; they come from the light of Prophet (salallahu `alayhi wa sallam). They are owned by Sayyidina Muhammad (salallahu `alayhi wa sallam). So Allah (Azza wa Jal) wants us to know that these angels are representing the purified lights of Prophet (salallahu `alayhi wa sallam). 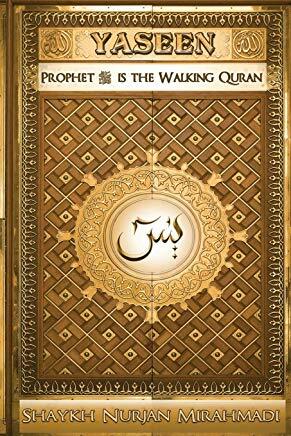 Every angel comes into existence is coming from Noor Muhammad (salallahu `alayhi wa sallam). Its power is from the Zikr of Allah (Azza wa Jal). And the angels’ existence as they come into existence, Allah gives them a unique salawat to praise upon Prophet (salallahu `alayhi wa sallam). Because Allah (Azza wa Jal) described that: verily Myself and every angel that comes into existence, as soon as it comes into existence it is given its own unique salawat, and praising upon Sayyidina Muhammad (salallahu `alayhi wa sallam) as its source of energy. By that praise and by that Zikr it has been given its power. And every praise has ‘allahumma اللّهُمَّ‘ because it praises Allah الله (Azza wa Jal) and then mentions the secret of humma هُمَّ. 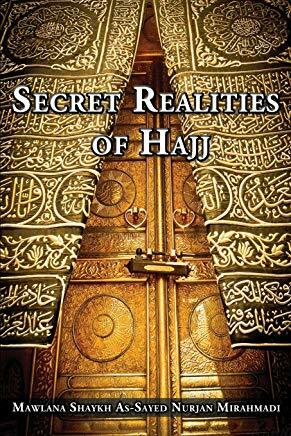 Allah humma, Allah (Azza wa Jal) keeps the meem م within the humma as a tremendous secret of realities. That Sayyidina Jibreel and the reality of Sayyidina Jibreel has to do with the first station of the Qalb (heart). It has to do with Sayyidina Jibreel continuously bringing the Message of Allah (AJ). It means that when the servant is contemplating and asking to open their heart, they are opening the reality of their soul. Sayyidina Jibreel brings you guidance. He can’t bring you wahiy (revelation), because wahiy, revelation is only for Sayyidina Muhammad (saws). 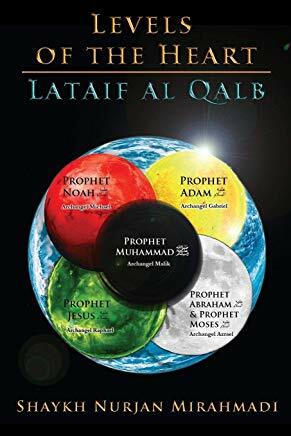 But continuous teachings and knowledges must be coming to Bani Adam (children of Adam (as), from the order of Prophet (salallahu `alayhi wa sallam). So for Sayyidina Jibreel to come and go, come and go, come and go, why is that? If the servant is opening within themselves their heart and their reality, means that the light of Sayyidina Jibreel begins to occupy within their soul because it is all Noor Muhammad (salallahu `alayhi wa sallam). 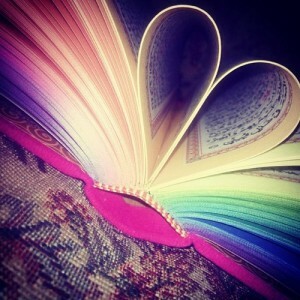 It means then the servant is opening the heart and asking to be dressed by the heart. That Sayyidina Jibreel and the light of Sayyidna Jibreel (as) must be present within that saint, within that person who is trying to open that reality. That light of Sayyidina Jibreel is responsible for bringing knowledge from Prophet (s) to that servant, not revelation. Revelation is only for Sayyidina Muhammad (salallahu `alayhi wa sallam) and there is no more revelation as Prophet (salallahu `alayhi wa sallam) is the khatim [ur risala], the Seal of all Messengership. It means every knowledge that is coming in the station of the Qalb must be coming with Sayyidina Jibreel. And the lights of Sayyidina Jibreel must be encompassing that servant’s heart and dressing them and blessing them. Then if you go from first station, Qalb (heart) to Sir (secret), then Sayyidina Mikhail is at the Second Station. That as soon as the shaykh begins to open for that student the power of their soul, the reality of their soul, these are all the heavenly supports that are coming upon their soul. When Allah (Azza wa Jal) wants to open for the servant, what are they talking about? What is going to open? It means it is going to open with angelic lights upon your soul. If the light of Sayyidina Jibreel comes and deposits upon your soul, it is an office within your soul of all knowledges. It means every reality that Prophet (salallahu `alayhi wa sallam) wants to open, will be opening through that light and Sayyidina Jibreel will be bringing these lights and knowledges upon the soul. That Allah ‘Azza wa Jal honoured the nobility of the creation of Adam and Eve. And that we are not monkeys that have evolved into the ability to talk and to hear, but we are noble creation coming from the heavens. And that we are on a spiritual journey and then to the heavens we shall return. And that creation was given tremendous honour in Divinely Presence and taught all of its realities. At the station of the qalb, Sayyidina Adam alayhis salaam constantly reminding us from the eternal light reality that: you are an honoured creation. And that the light of Adam is always descending onto earth because Bani Adam is always being born. Means that Sayyidina Adam is always coming to earth; it’s not just one time he came. But the dhurriyah and the progeny of Sayyidina Adam alayhis salaam are always are on an eternal descent into the earth or on an ascension towards the heavens. That we have all the children that constantly coming, Sayyidina Adam alayhis salaam is teaching. We are always coming from heaven and at every moment we are going back because at every moment somebody is dying, and somebody is being born. That you have been a noble creation, taught all the names and all the realities, all of it is bestowed upon your soul and then given a form. That’s why so much of Qur’an is: “shamsi wal qamar, shamsi wal qamar.” Allah ‘Azza wa Jal always pointing out that the sun is first and the moon is constantly following. It gives it a male and female. That the sun is first; the sun is eternal, the light is eternal. Keep always what is eternal in your life most important. And that which is physical should be following the light, not the reverse. Then Sayyidina Adam (as) is eternally teaching us that: when you begin to open and “who knows himself will know his Lord”. When you begin to open and meditate onto your heart that, “Ya Rabbi, let me to be nothing, to be nothing, to be nothing,” when they begin to teach of these realities, they are teaching the soul and not the body. 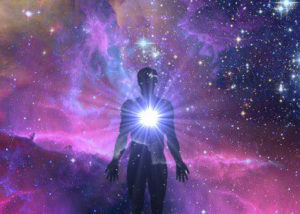 That once your soul has an understanding of these realities, as soon as you go to sleep your soul is free and goes towards the Divinely Presence and asks the Divinely Presence; “I’ve been taught these realities, dress me from these lights. 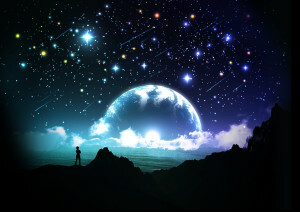 Bless me from these lights.” Then they begin to dress the soul from those realities. This is also like an all-time projection TV. If you had an all-time projection TV, there are certain bulbs that would project onto the screen. The opening of these lata’if and these subtle energies, lata’if from the sifat ul Latif (Most Subtle) [one of Allah’s holy attributes] they are subtle energy points. That by opening these energy points, by you focusing on their realities and the understanding and the knowledges of them, then through the tafakkur and contemplation, Allah ‘Azza wa Jal begins to send these lights upon the soul. Allah (aj) begins to send these yellow lights and the reality of the station of the qalb and the reality of Sayyidina Adam alayhis salaam. 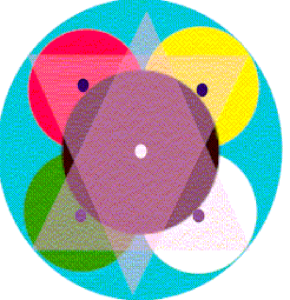 Then everything that we have listed [on the levels of the heart diagram] that what is the season, what is the prayer time, what is the zikr; all of our life is based on these lata’if.